Distribution lists may need to be updated. Easily edit your distribution lists to ensure the appropriate members and non-members are receiving the information they need. 1. Click the Email icon on the navigation menu on the left. 2. 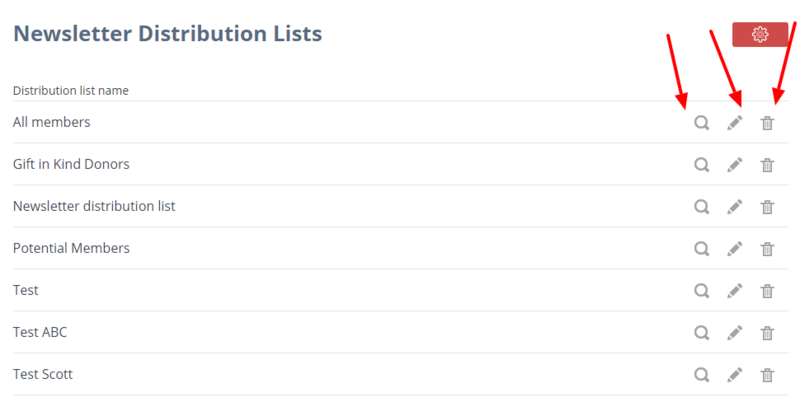 Click the red Administration icon and select Distribution lists. 3. Locate the needed list. Click the magnifying glass to view the list, the pencil icon to edit it and the trash icon to delete the list. 1. Edit the Name field. Ensure that the list name will be easy for you to identify, especially if you choose to share the distribution list with others in your club. 2. Edit the Description field. In the Members area, start typing in the member's name and then select it from the drop-down list. 4. 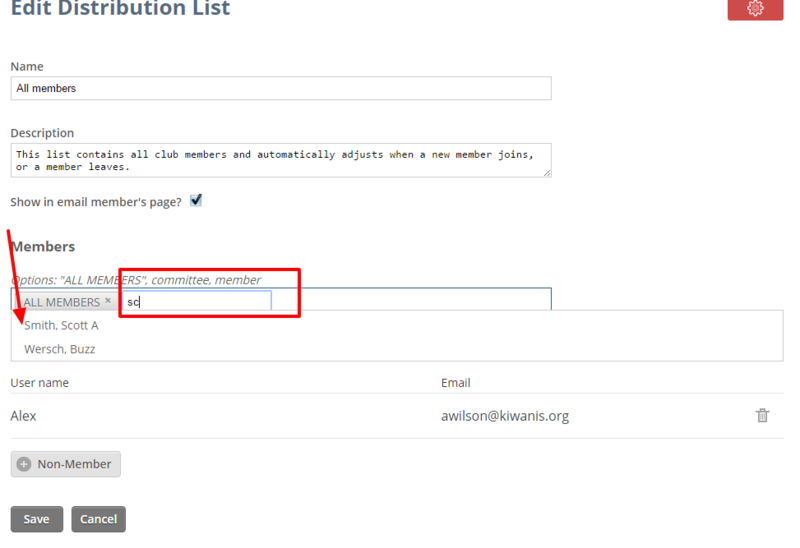 To add a non-member to the distribution list, click the +Non-Member button to add individuals who are not members of your club. If you would like to remove a member from the distribution list, click the trash icon next to the non-members name in the Non-Member section. 5. To delete a member, locate him in the Members box and click the X icon. 6. Click the Save button to save your edited distribution list. Note: Access the list by clicking the Email or Newsletter icon and then clicking the Distribution lists button.